Charles has a keen eye that is never content with the norm. 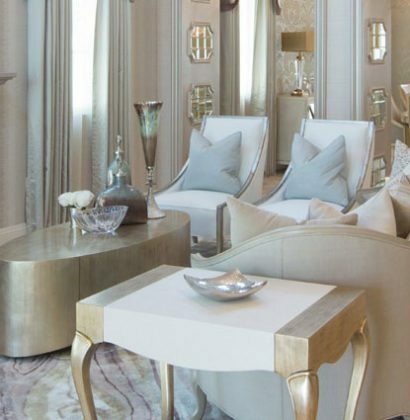 All of his projects include elements uniquely designed for that particular space such as a beautiful cornice or custom sofa. Explore his unique design approach that blends baroque modern décor with luxurious silhouettes. This project represents the quintessential young and hip Hollywood artist. This particular client desired bold jewel tone colors, yet the home needed to remain livable and functional for a large family. 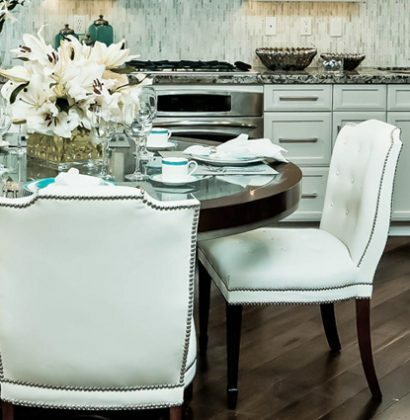 One of Charles’ first competition shows on HGTV, he made some very avant garde choices in the design which earned him the title of Showhouse Showdown champion. This delicate and feminine design incorporates lots of design elements in a baroque and transitional marriage. 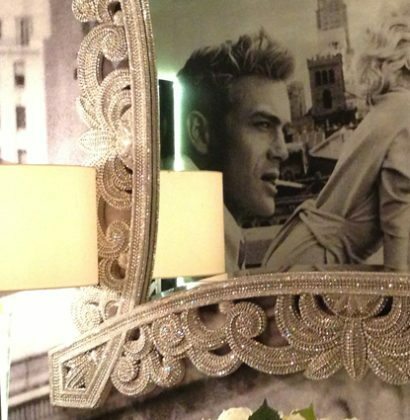 This project was an over the top modern take on Hollywood regency. Outfitted for a young and hip Beverly Hills diva. 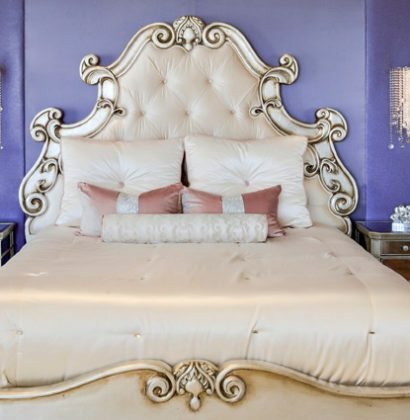 This gorgeous diva wanted to bring a royal and luxurious feel to her bedroom. 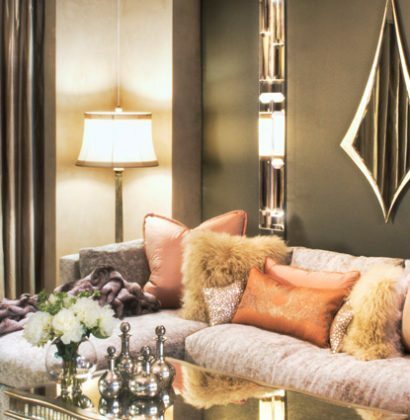 Charles used her favorite deep purple for the upholstered walls in which he inset scalloped mirrored panels with champagne metallic wood trim. An edgy rock star wanted a home that was as wild and creative as he was. Charles’ hand crafted a cornice with blue agates and then backlit the agates with led lights. 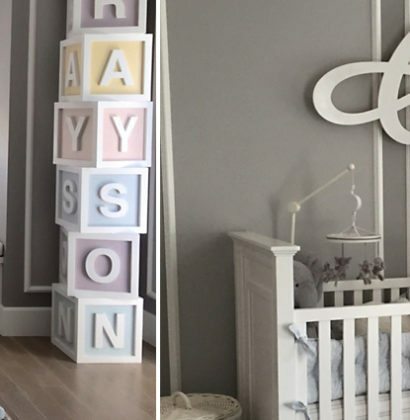 Charles’ created a clean a sophisticated design with elements of whim like the custom building block feature that spelled out the boys’ name. 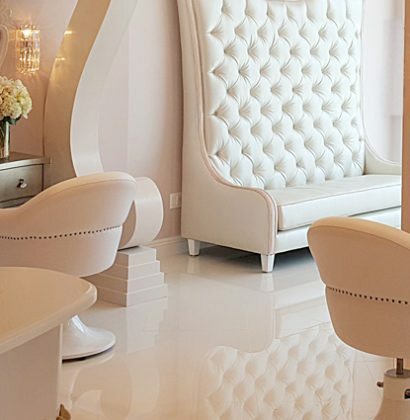 Two young and glamorous twin sisters wanted a salon design that reflected who they were: flirty, fun, and stylish yet functional to service a successful clientele. 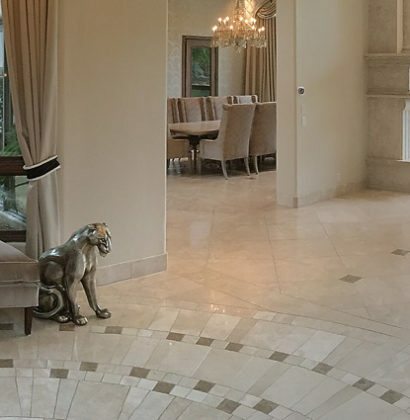 This palatial sized home for a young couple with a growing family boasted 30 ft ceilings with window treatments fit for a palace. 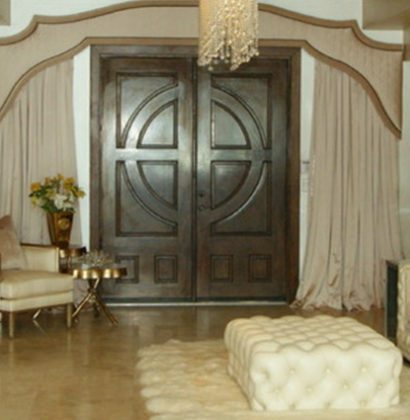 For a young and fun client, Charles’ created a very dramatic design for her to entertain her many friends in West Hollywood. This large scaled Atlanta Georgia estate was transformed into a more palatial and transitional style with touches of Hollywood regency. 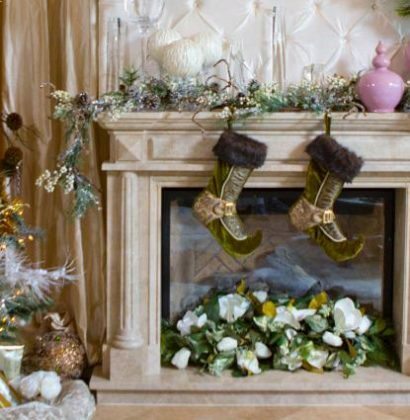 A fun and whimsical show where Charles’ created a holiday room design for celebrity Christina Millian. 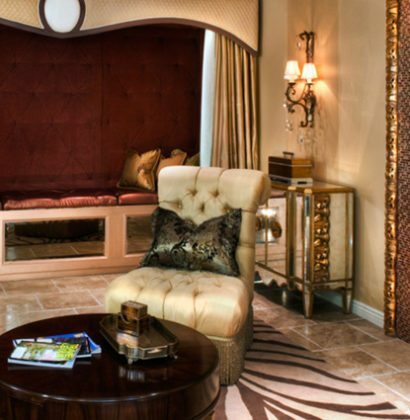 Charles utilized a long haired wool rug, upholstered walls, and venetian plaster to create depth with layers.